I Landed My First Freelance Client the Same Day I Got Laid Off! Freelancing is a dream career for a lot of people. Working with only the clients you want, setting your own hours, and being in charge of your own work and business sounds pretty great, right? 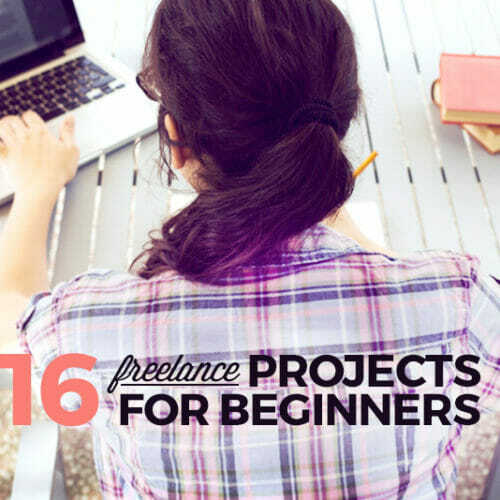 While some people set out specifically to freelance from day 1, others sort of fall into it. I started freelancing on the side while I was working for a magazine publisher, and when the publisher closed, it made sense to take on more freelance projects and turn that into my full-time gig. 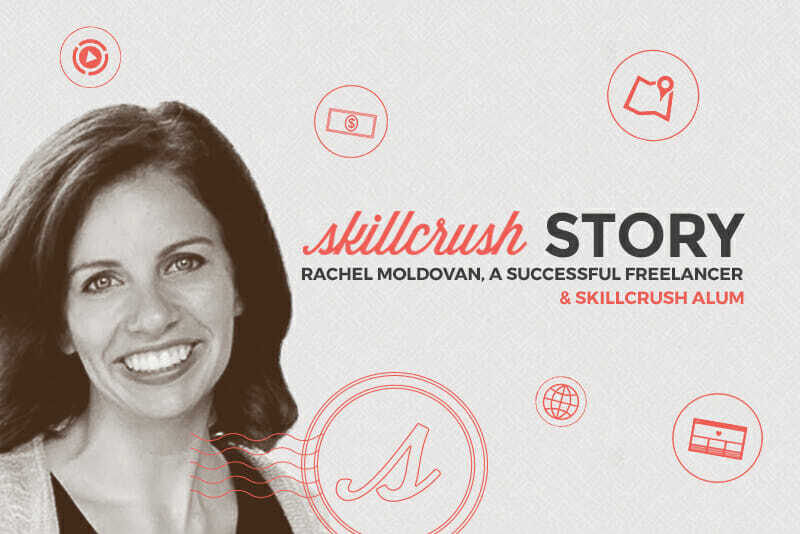 A similar thing happened to Rachel Moldovan, the focus of today’s Skillcrush Story. 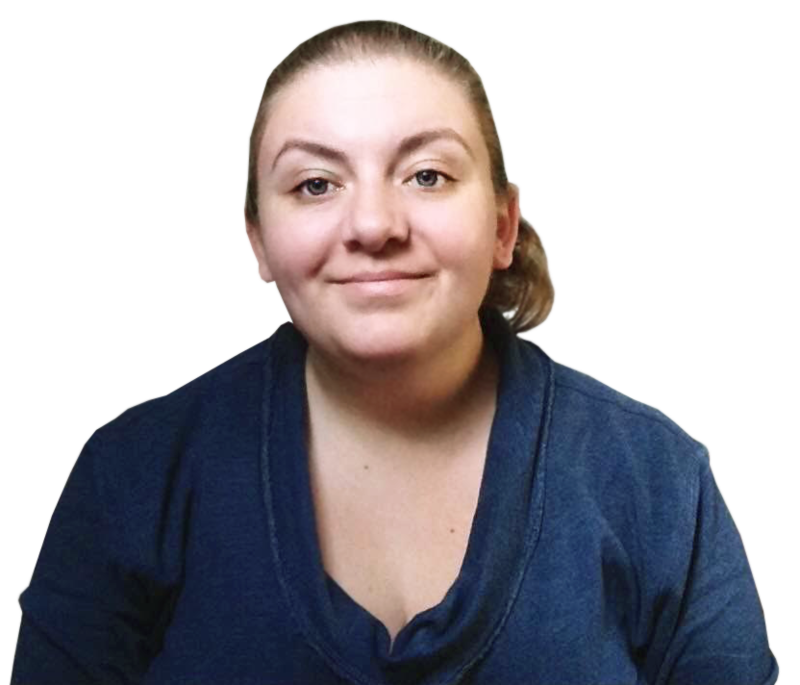 After spending a couple of years learning tech skills while she worked as a French teacher, she decided to make the switch to working for an agency. Fast forward six months, and the agency lost their biggest client. That meant layoffs and Rachel was among those let go. 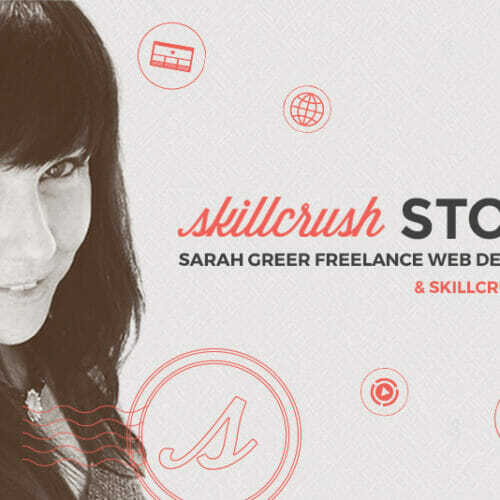 But later that day, she landed her first freelance web design client—her aesthetician! Rachel hasn’t been freelancing for that long, but at the rate things are going, she’s set to earn more this year than she ever has before. 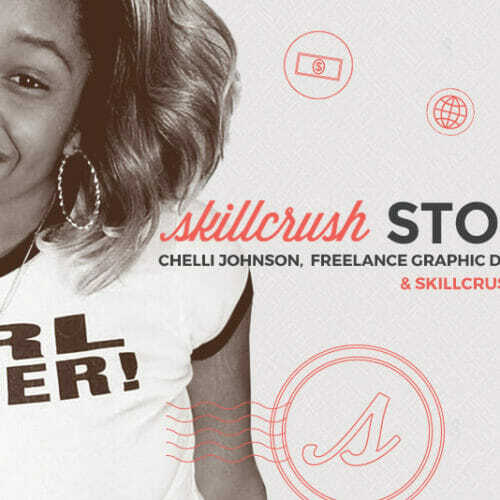 You can read more about her work over on her Skillcrush Stories page. If you’re looking at making the switch to freelancing, you’re probably wondering how you can maximize how much you earn, besides just working crazy numbers of hours. (Aren’t we all?) Below are some of the best strategies you can use for earning more money as a freelancer. Your portfolio is probably the first thing any prospective client will see from you. It’s their introduction to your work, including what kinds of projects you’re capable of and your style. For that reason, it’s vital that your portfolio be the absolute best you can make it. It’s better to have 3 really phenomenal projects in your portfolio than to have 10 mediocre ones, so don’t feel like you have to include everything you’ve ever done. Instead, pick and choose from your best work and highlight that. A lot of people go into freelancing thinking they’ll take on any client who can afford to pay them. And while sometimes that kind of thinking is necessary to make ends meet (especially when you’re brand new to freelancing), it’s still important that you know exactly who your ideal client is. If you could work with anyone in the world, who would that be? It could be a specific person, a company, or just a general “type” of client. If you know, for example, that you’d love to work with Ash Ambirge of The Middle Finger Project, then that’s going to send your career in a slightly different direction than if your dream client is someone like Martha Stewart. Knowing who you want to work with lets you market to that type of client specifically. No more average Jane web designer who’ll work with anyone who pays her. Instead, create a brand that reflects who you are as well as who your clients want to be. Maybe you start out with some design chops and a working knowledge of HTML & CSS. That’s great, and you can do a lot with just those skills. Either way, adding to your skillset is unlikely to ever hurt your earning power. Work begets work. The more work you do, the more work you’re likely to get. That said, you generally can’t just sit back and wait for clients to come find you. Instead, you’ll need to get out there and network to show the world what you’ve got. Networking can be done online (they’re called social networks for a reason) or in person. And it’s not nearly as hard as it sounds. Remember how Rachel got her first client while at the aesthetician’s? That’s networking. Find a meetup group, conference, workshop, or other event where your dream client might hang out, and then GO! If networking terrifies you, then set a goal for each event. That goal might be to go for 10 minutes and talk to 1 person, or maybe 30 minutes and 3 people. Or maybe it’s just that you’ll exchange business cards with at least 4 people, regardless of time. The key here is to set yourself a reasonable goal and then give yourself permission to leave. Sometimes you may reach your goal and leave right away, while other times you might end up having so much fun or engaging with so many interesting people that you completely forget you wanted to leave in the first place. 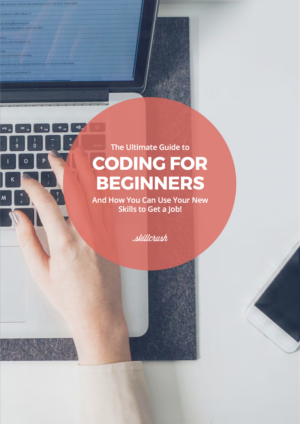 You can get a ton of other information about networking in the free Beginner’s Guide to Networking. Speaking of networking, there are very few people out there who actually enjoy pitching themselves or their business to others. But learning how to effectively pitch who you are and what you do is a huge part of good networking. How many times have you asked someone what they do for a living and either they respond with some super technical or complicated job title you don’t understand or they’re self-deprecating about what they do? Either one probably makes you zone out pretty quickly, right? Instead of that, think about what the goal of your business is. Do you help small businesses bring in new customers? Do you focus on women-owned businesses, or maybe non-profits? Come up with a one-sentence “mission statement” for what you do (or want to do) with your business, and be ready to share that with anyone who asks you what you do. If you come across as passionate and enthusiastic about your work, you’ll spark interest in the people you’re talking to! If you want even more tips for how to make more money as a freelancer, check out Ryan Robinson’s article How to Earn More Money Freelancing (Even if You’re a Total Beginner) for 7 more tips. And be sure to check out Rachel’s story for more details on how she got her start as a freelancer! 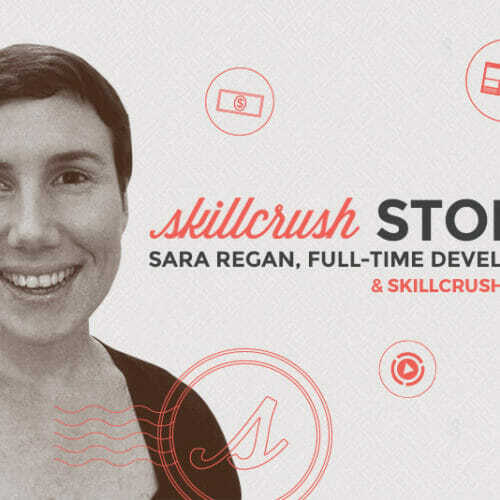 Prev: From Skillcrush Teaching Assistant to Full-Time Developer—I Took a Few Detours, but I Got There! Next: I Found Freedom in My Career to Do What I Love – and Tech Skills Got Me There! It is in point of fact a great and useful piece of information. I’m happy that you simply shared this helpful information with us. Please stay us informed like this. Thanks for sharing. What i do not realize is in reality how you’re not actually a lot more neatly-preferred than you might be right now. You’re so intelligent. You understand therefore significantly when it comes to this matter, made me personally imagine it from so many various angles. Its like women and men are not interested unless it is one thing to do with Girl gaga! Your own stuffs nice. All the time take care of it up!